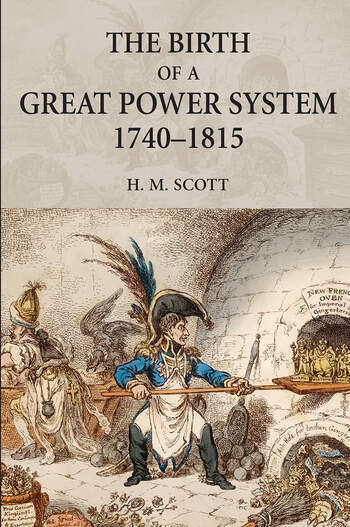 The Birth of a Great Power System, 1740-1815 examines a key development in modern European history: the origins and emergence of a competitive state system. H.M. Scott demonstrates how the well-known and dramatic events of these decades - the emergence of Russia and Prussia; the three partitions of Poland; the continuing retreat of the Ottoman Empire; the unprecedented territorial expansion of Revolutionary and Napoleonic France, halted by the final defeat of Napoleon - were part of a wider process that created the modern great power system, dominated by Europe's five leading states. Enhanced by maps and a chronology of principal events, this comprehensive and accessible textbook is fully up-to-date in its coverage of recent scholarship. Unlike many other treatments of this period, Scott extends his beyond the French Revolution of 1789 in order to demonstrate how events both before and after this great upheaval merged to produce the central political development in modern European history. This book addresses the crucial phase in the emergence of the modern international system which, with the subsequent addition of the USA, Japan and Russia, has prevailed until the present day. H.M. Scott is Professor of International History at the University of St Andrews. He is a leading authority on eighteenth century international relations. His previous books include The Emergence of the Eastern Powers 1756-1775 (2001).